I am counting down the hours till 11PM tonight. 5 years ago today at that time, I finished my last sickorette. It was touch and go for a while, but I made it through. My many friends and supporters here made a big difference in doing so. When I needed help, they were there to help me over the rough spots. I won't say it was easy, because it wasn't. I went through h#ll for a time. As time passed, it did get easier. The time between cravings got longer and longer. Do I wish I had quit earlier? I have to truthfully say that I really do wish I had. I caused some permanent damage that will be with me always. Anyway!! I am now free of those death sticks and will never touch another. Just one could cause severe health problems. Travel safely friends, and know that you also can quit forever. At 11pm-to you Larry-CONGRATS AND GOOD JOB! We are ALL grateful that you DID quit and that you stayed around to lead the caravan. Congratulations on your impending five year anniversary! I don't think there's a sane quitter out there who doesn't wish they had stopped earlier. Better yet never to have picked it up in the first place. So glad you made that choice five years ago, toughed through it and have been leading caravans ever since. It takes courage, strength and stamina to lead others through the desert of No Man's Land. Happy to be traveling with you. 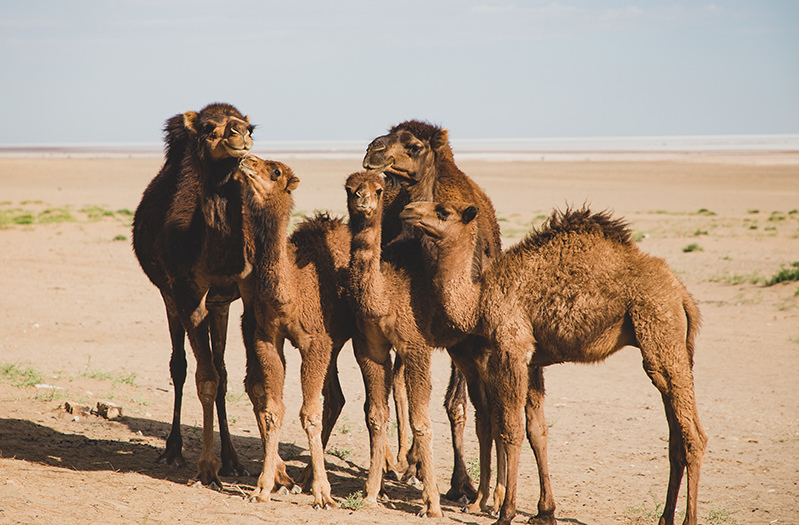 I brought you 5 camels in celebration! Thanks for passing on your smobriety, Larry!!! I love five for smobriety. Big hug and congratulations to you. Congratulations on 5 Years Larry and thanks for all your insights and humor. You certainly helped me through. Congratulations Larry, and thank you for being an inspiration for so many of us. Your blogs are filled with wisdom, and all we had to do when reading them was open our minds and hearts and follow. Congratulations on 5 years of freedom Larry! Amazing! You the man! Congrats Larry, well done and thank you for the continued support you bring to Ex! How amazing! Good for you. Congratulations and thank you for all your contributions to this site. You're an inspiration! Congratulations and thank you for being our diligent caravan master. We all rely on you! Congratulations Larry on 5 years, oh great Caravan Master!! Congratulations Caravan Master! And thank you for the choice you made 5 years ago. You are an example and an inspiration for me and so many others!! Thanks and keep leading! Happy 5th anniversary, Larry. Congratulations on that milestone Caravan Master. I'll be looking for you in NML. I will be there soon. CONGRATULATIONS, LARRY. YOU ARE A HUGE PART OF WHY I'M STILL SMOBER TODAY. THANK YOU!! !